Want to see a photo of almost everything I've ever made? You've come to the right place. Click on the images below to enlarge. Scroll through several pages. You ARE awesome! Do you have patterns for these from somewhere or have you just made them up? I have made them all up. I do have patterns for sale for many of them, and you can find them by clicking above on "SHOP". amazing! hope I'd make as great items as you! I see in you're banner at the top of the page you have a Willie Nelson doll do you have that pattern for sell? 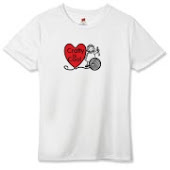 my hubby is a huge fan and would love one of those if you have it available! Your work is amazing and your patterns are easy to follow I made the 9th doctor as a gift for my cousin she loved him! I purchased the book! Its awesome! Can you tell me what yarn was used for Willie's hair? I absolutely love the doctor who ones. Seeing as I'm a huge fan of the show and have no ability to create things on my own, I would love it if you offered the patterns. You stuff is amazing and so creative! Allison do you do any Harry Potter characters?? Would love a set of those. Your work is superb. Can you do Flo, the Progressive lady? That would be so cool. 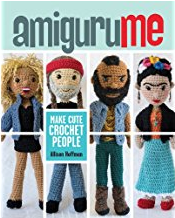 I picked up your book at my local library for inspiration in my own doll crafting. I've been crafting dolls for awhile now. I noticed that there are some stitch count issues. For instance, in the curvy woman's body pattern, towards the end you have 6 sc, 7 invdec, and then 5 sc for a count of 20. Adding all that up, that is only 18 stitches, not twenty. Also, you don't indicate how to embroider faces nor where to sew on ears. I had issue with sewing on the ears because all you said was eye level but not how many rows, etc like you did for placing eyes. Also, in putting the eyes on the dolls: adding them after you stuff the head is a PITA. I add my eyes before stuffing the head and then stuff the head. I love your work! my favorite is Wonder woman!!! Your work is amazing. Are you going to make the Mr Men patterns available? How did you do the Mr Tickle arms? Is there a pattern available for the DOG that the Martha Stewart doll is holding? Thank you for sharing your talents and LOVE the YOUTUBE videos! Thanks BirdaSu! I do have a pattern but I don't think its published anywhere. Maybe I'll put that out there soon! Thanks for the prompt! Love your book! I am working on my 2nd doll, a FEMALE. 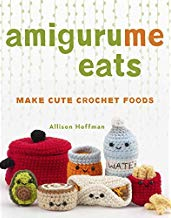 My QUESTION is...can you pair heel or wedge shoes with pants on a female AMIGURUME? Do you still have the Mew? I would love to buy it from you. Saw your Austin American Statesman article. Very cute ideas you have. 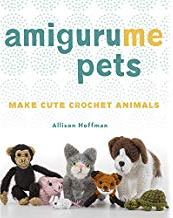 I'm sharing this site with all my crochet friends. These are absolutely AMAZING!! LOVELOVELOVE the Doctor Who ones! Now, how about working on Firefly?? Would love to see what you could do with the Captain and Jayne!! I don't know that how to use these apps. Can you give me some suggestion through by your post.Thanks. could you please make a pattern for the tadpole or baby frog. In my opinion it was really cool and i would like to try it.